Kate Chesters fuses Contemporary Art with Home Decor. 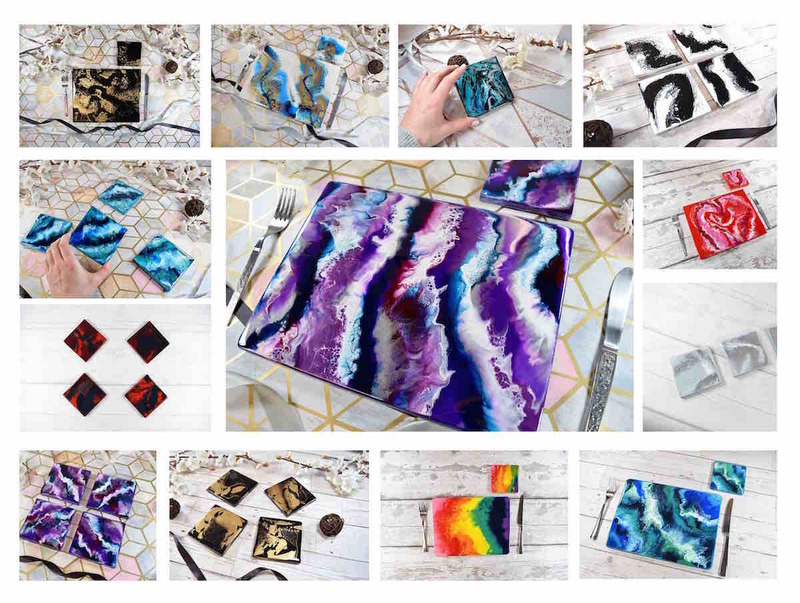 Each of her pieces has a story behind it; inspired by an epic landscape seen on her travels such as the swirling blues of Niagara Falls and the frozen landscape of Reykjavik. 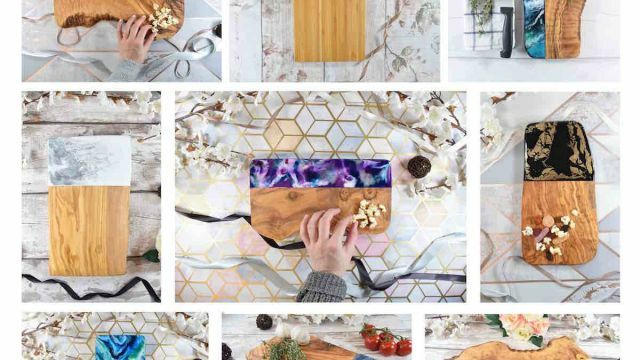 The artist decorates chopping boards, cheese boards, placemats and coasters, using resin and olive wood for its exquisite distinguishing features and antibacterial properties. Another one of Kate’s unique aspects is the insight she gives into the creation of her pieces. The artist uses videos as part of her market stalls – a culmination of time lapses, displaying the process from beginning to end. Customers are able to view first hand as she pours the resin, covering each artisan board with its own, unique artwork. These are Kate’s best sellers, with many customers commenting on their originality. 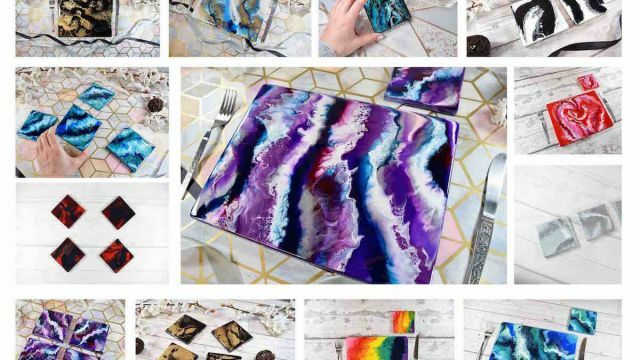 Kate is working as a self-employed artist from her very own studio, taking pride in the way she incorporates art into everyday life with each piece that is purchased. 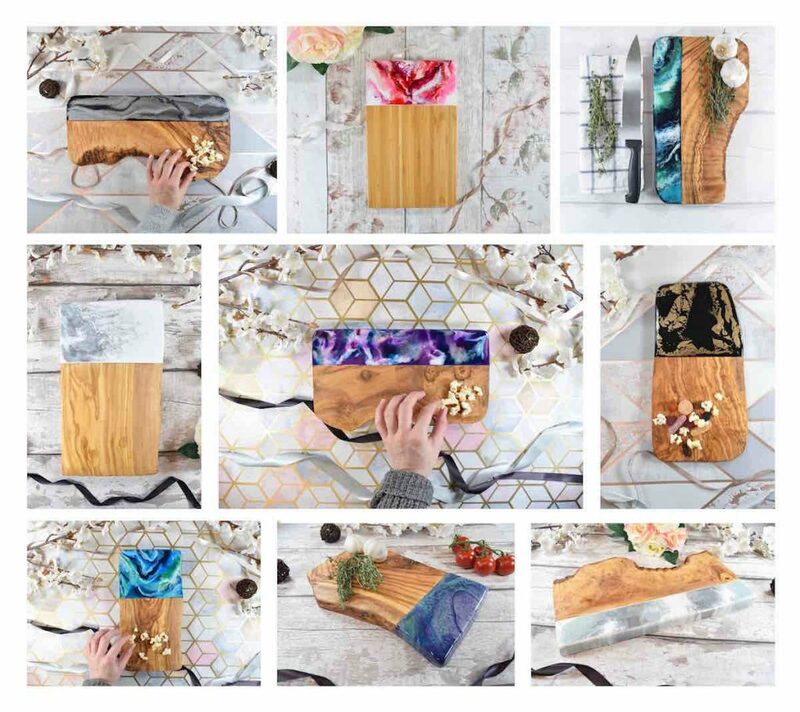 She prices her artisan boards fairly, aiming to create artwork which is accessible to everyone, ranging from £20 to £45. Coasters are sold for £20 or £25 and won’t be found anywhere else.